Renato Bialetti, who made stove-top espresso makers a worldwide product, passed on last week - along with his memorable funeral saw him hidden in one of his popular containers. 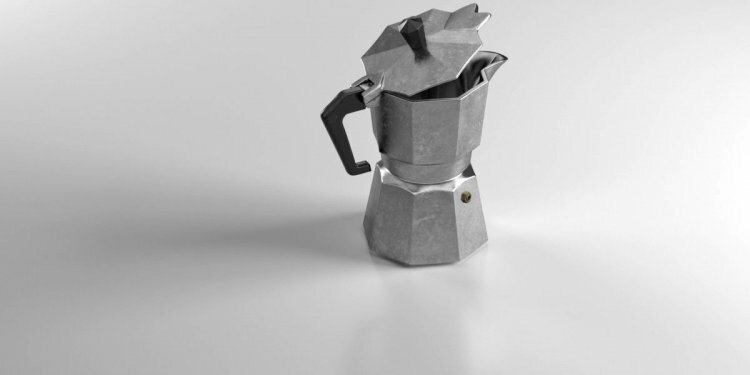 Bialetti's daddy Alfonso bought the patent for aluminium design in 1933, however it had been Renato whom got the company going - he spent heavily in marketing and advertising and made himself the model for famous L’omino con i baffi (the small man with a moustache) who nevertheless adorns each Moka cooking pot these days. Significantly more than 300 million of this coffee manufacturers are offered internationally because the 1940s. According to, his three children chose to honour their particular 93-year-old father by interring their ashes in an urn shaped like a sizable form of the iconic pot. His cremated remains were taken up to their home town of Casale Corte Cerro, blessed by a priest, and buried beside the body of his partner.